Unlike most people, I enjoy telling folks, "I told you so." I have been saying this for years, Barry Obama is MORON. Not only has he never done anything to prove otherwise, but he has actually ramped up his attempts to prove me right. Currently, the Dow is down this morning 122.15. That makes the loss since May 2, 2011 a whopping 684.9 or over five percent. 5.35% to be exact. This was his awesomatic plan for the "recovery." Please keep in mind that Barry Obama is an idiot and has proven it without fail over the course of his nearly fifty years on the planet. He is an OLD IDIOT with a bunch of proof that he is an OLD IDIOT and will not change. He gave a speech at the 2004 Democrat National Convention and he is not TOO black. Those are his accomplishments in life. Deal with it. He is not of stellar intellect, he is NOT so smart that he stutters like an idiot. He is simply, AN IDIOT. And anyone that does not know this by now, is also an IDIOT. In case you are wondering, YES, gold is at 1544 an ounce this morning. The economic calamity is going to happen this month, UNLESS, the Federal Reserve starts dumping a shitpot of money into the four largest banks on Wall Street again in an effort to kick the can down the road until after the 2012 elections. By the way, THREE of those four biggest banks are about to get downgraded. Well, well, well, look at what the best performing stocks are this year. Weird, huh? Consumer confidence is at an all time low. The economy is NOT growing. Quit lying. Next year is going to be worse. True unemployment numbers simply HAVE to be over twenty percent. Also, keep in mind that in a country of over 330 million people, less than 160 million people are in the labor pool and probably about 25% of those are unemployed. Add to that the around 50 million illegal Mexicans on welfare, and you now have the perfect economic storm. 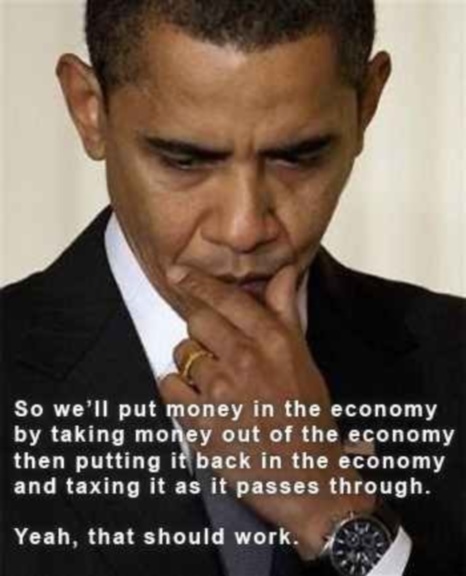 Of course, to the national media, the KEY to Barry Obama's reelection hinges on employment and growing jobs. Please ignore the fact that all Barry and his folks have to say is that unemployment is at its lowest level in history, that people are making more money than they ever have, and the national media will print that. It makes no difference that those statements are categorically FALSE. WAR seems to think that this Democrat induced depression will be worse than the first Democrat induced Great Depression. Let's take a look at some of Barry Obama's economic stats since idiots elected one of their own. Wonder what Obama's idea is for avoiding the jobs killing, poverty inducing economic ideology? MAKE. LESS. MONEY. Seriously? A little known dude has entered the Presidential race. Did anyone ever think that there could be TWO guys named Mitt Romney? This guy is ideologically opposed to the other Mitt Romney though. Plus, they look a lot alike, too. Bizarre. I told y'all early on in the 2008 race that I would not vote for The McCainiac and wound up doing it anyway because the Klan Party nominated the idiot Obama and I had no choice. I swear on my life, if the Republicans nominate either one of these Mitt Romneys, the big government one or the new limited government one, I will never vote for him even if someone gives me ten million dollars. Furthermore, if the Republicans nominate either one, I will never vote for a national Republican again in my lifetime. For the life of me, I CANNOT comment on your posts from my phone. I'm totally in agreement with your assessment of Mitt Romney. A has-been who couldn't even beat out McCain the last time around. The last thing the Republicans need to do is choose a LOSER! Staci, the Old Guard Republicans still say Mitt is the best candidate. It is time for the Old Guard to team up with their compatriots in the Democrat Party. Still waiting for a candidate I can get enthused about. However, I'll vote for a doorknob before I cede my vote or cast it for the current fiasco-in-chief. Skunks, so far, I am waiting on the very same thing. Paul Ryan is my choice even though he is not running.